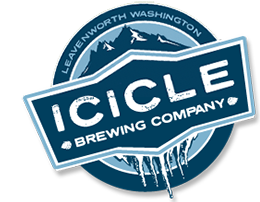 Meet Dean Priebe, Head Brewer at Icicle Brewing in Leavenworth, WA. Dean recently upgraded his brewery by purchasing a Powerex 5hp oil-less scroll compressor. Like most breweries, Icicle uses compressed air to power their keg washer, bottling line, and canning line (both mobile). They also use air to clean the yeast out of the bottom of the fermenter when emptied. Their previous compressor was a retail-grade oil-lubricated reciprocating piston compressor, but they have since bought a Powerex oil-less compressor. We spoke with Dean to get his feedback. What prompted the upgrade in compressor? Dean: After our 3rd “hardware store” compressor broke down in 3 years, we decided that it was time to step up. Sometimes they failed just before the warranty ran out, sometimes just after. But even when they failed within warranty it was still a hassle to rip out the old and install the new. We saw an ad from Powerex on the Brewers Association webpage, got a quote that was in our price range, and made it happen. Dean: We didn’t like the thought of oily air being used to clean out our kegs. Plus, when we used air to clean out the fermenters you could actually smell the oil which was pretty gross. Of course, all kegs and tanks had the oil completely cleaned out, but it’s easier to not put it there in the first place. Our old cheapo compressor had a filter but you just had to cross your fingers and hope that it was really doing anything. Having an oil-free compressor helps me sleep better at night because you don’t have to worry about oil carryover if there isn’t any in the air to begin with. Having an oil-free compressor helps me sleep better at night because you don’t have to worry about oil carryover if there isn’t any in the air to begin with. Did you have any concerns about buying a new compressor? Dean: Of course we were worried about the cost. But the Powerex compressor wasn’t as expensive as we feared. It was well within our price range. What else do you like about the compressor? Dean: This thing is a godsend! It’s an awesome, solid piece of equipment. In fact it’s one of the nicest pieces of equipment in the brewery! Again, we love the oil-free operation. We also like the reliability and the confidence to be able to leave it on all the time. There is very little maintenance required (1st major service doesn’t happen until 10,000 hours). We always had to change oil and tighten belts on the old compressor. The auto-drain feature is wonderful! We used to have to manually drain the tank and now we cheer when we hear the auto-drain go off. We appreciate the fact that it’s really quiet vs. the piston compressor. The new compressor also opened up another opportunity for us in operating our beer pumps. The serving tanks are in our basement and we used to use bottled CO2 to power the pump to get the beer up to the taproom. Our new Powerex compressor has enough capacity that we can use compressed air to power the pumps so we save money by not having to buy CO2! 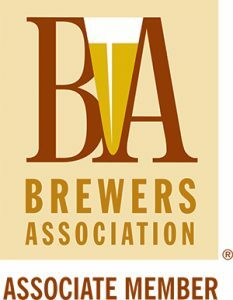 What would you say to other brewers in a similar situation? Dean: It’s all economics and quality. You can make anything work and the cheap hardware store compressor might sound easy, but it’s not worth it in the end. The benefits of oil-free Powerex outweigh the overall costs in maintenance, labor, cleaning, and the hassle of replacing systems when they break. There’s a lot of value in the peace of mind of an oil-free compressor. Dean: Thank you for making a great product that breweries like us can afford!